In this section, you will find all the spray packaged and small packaged products for the maintenance and the assistance of your PCB. 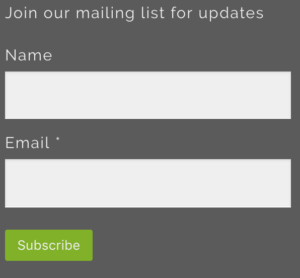 We are listening to your needs, so, if you have a specific application which needs the use of a spray or a special package, please do not hesitate to contact us. To submit a application, please click here. ABfroid is a powerful non-corrosive refrigerant for use as a rapid and safe method of cooling small components, particularly in electrical and electronic equipment, and to detect faulty soldered joints and overheating components. 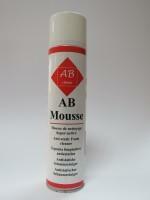 ABsouffle aerosols of pure, compressed, inert gas are designed for the safe removal of dust and airborne contamination from very delicate or unaccessible areas of electrical and electronic equipment. An highly efficient anti-static foaming cleanser for surfaces prone to static dust attraction which has been specially developed for use on plastics, metal, glass and synthetic surfaces. This Product, destined for insure the protection of precise parts of printed circuits, is a flexible compound to basis of copolymere weak viscosity. The product LDM allows to obtain a mask insuring the protection during operations of manufacture, coating, assembling and wave solldering. Label Remover has been specially formulated by our laboratory to be a quick and efficient removal of paper based pressure sensitive adhesive labels. RNG has been specially developed to restore texture to rubber grip rollers by removing hardened deposits. Designed for use on printers, fax machines and photocopiers. NTT is a very efficient anti-static foaming cleanser for surfaces prone to static dust attraction which has been specially developed for use on plastics, metal, glass and synthetic surfaces. NCE is a fast-drying solvent specially formulated for an efficient cleaning of electrical equipment when fast evaporation rates is required. SND is a fast-drying cleaning Solvent specially formulated for defluxing and degreasing electronical and electrical equipment. SND is really efficient to take off coating on Pcbs. SND dissolve very quickly acrylic varnish. 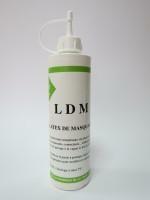 SND has a very large range of application and this product is compatible with a large range of plastics materials. NPP is an alkaline product specially designed for the micro cleaning and active degreasing of metal and plastic parts and surfaces. NCC is a very fast-drying solvent specially formulated for the quick and efficient removal of unused solder paste and uncured adhesive from surface mount production equipment. LSP is a long term, high performance dry lubricant for precision mechanical assemblies in regular use. It is suitable for use on items such as printers and photocopiers. It may be used for lubricating sprocket wheels, ball races, gears and axles. It may also be used for cleaning and lubricating gold contacts on edge connectors. LTM offers outstanding penetration characteristics with exceptional life and lubrication efficiency. It provide exceptional anti-wear properties. NEG is a blend of solvents designed to remove ink from a variety of surfaces; for example, printer and typewriter rollers, ink jet printer heads, processing and printing equipment and franking machines. 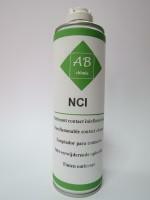 NCI is a non-flammable cleaning solvent for electrical contacts. This complex of organic solvents, free of aromatic solvents (Benzene, Toluene, Xylene) and halogenated solvents (DI, Tri or Perchlorethylene), leaves after evaporation of the solvents a thin fatty film of protection against oxidation. It does not alter metals, their alloys, plastics and hardly rubbers. SBD airduster aerosols of pure, compressed, inert gas are designed for the safe removal of dust and airborne contamination from very delicate or unaccessible areas of electrical and electronic equipment.